Firstly Happy Friday all! Glad it's the weekend and can't wait to head west to see my parents and eat all around me! Today I have another another classic recipe and one that has been passed down through the generations in my house. This Guinness in this cake gives a really great dark caramelized flavour. This is similar to a traditional Christmas cake, except for one difference...it's actually nice! My Mom has stopped making Christmas cake in our house as it is always left...this little number on the other hand is always snapped up! You can let this cake sit for a couple of days (wrapped in greaseproof paper) to allow all of the rich flavours to mature.....good luck with that though once you get a sniff of this cake coming out of the oven! That said if you have any self control (..at all!) this cake really is at it's best after a few days wrapped in paper and left in an air tight tin. 1. Sieve flour and baking powder in a large mixing bowl (or free-standing mixer). 2. Add the sugar and nutmeg. 3. Rub in butter finely using your fingertips (or using the mixer on a medium speed). 4. Next mix in the sultanas,and mixed peel. 5. Beat the eggs and add the porter or stout to them, then pour into the dry ingredients. 6. Finally, bake in a well greased tin for 1.5 hours at 190°C. weeks if kept in a tin or airtight container in a cool dry place. 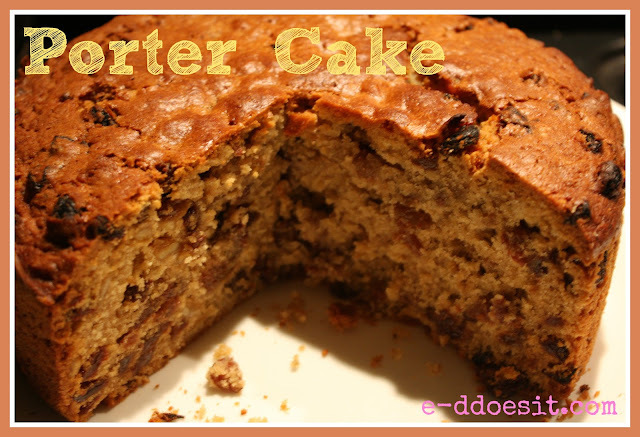 - You can serve porter cake sliced on its own, own with a little butter. 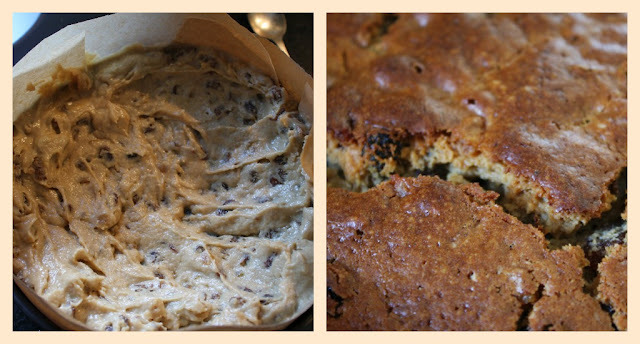 I love this cake..so moist, rustic and hearty looking. Even though I'm not Irish..I always try to make something 'Irish' for St. Paddy's Day. It's usually Corned Beef and Cabbage and Irish Soda Bread. IN 2013, the bread is being replaced with this awesome cake! !